You are at:Home»Aesthetic and Anti-Ageing»Aesthetic Report»Deluxe Laser & Spa: Why Laser Hair Removal is the Perfect Summer Treat! The awkwardness of trying to shave in the shower, the annoyance of having to tweeze every few days, the pain of waxing – these are just a few of the trials you don’t need in Spring! But, there is an alternative. It’s time to consider Laser Hair Removal, which by the way, is deemed an effective means of reducing unwanted hair. Better still, it will save you time (usually spent trying to manoeuvre yourself into the best position to access the body area) and money (let’s face it, those hair removal creams and razors can rack up fairly quickly). Laser Hair Removal achieves a more permanent effect than traditional hair removal methods such as shaving, waxing, plucking, tweezing and hair removal creams. In other words, your pins or underarms will be smoother for longer and you can expect a 90% reduction in overall hair growth in the area that has undergone treatment. It can also be performed on most parts of the body, including the face, legs, underarms and bikini areas. 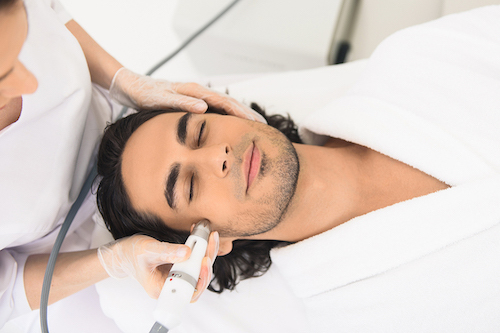 Laser emits energy in the form of light, which targets and heats up the hair follicle. The pigment in the hair absorbs the light, allowing the heat to travel down the hair (the darker the hair, the better the result). This destroys the root and interconnectors connecting it to the blood supply, thus preventing the growth of more hair. And don’t worry; it only affects the specific structures of the hair and follicle, leaving the surrounding skin untouched. You will need a number of treatments (usually up to eight treatments for best results) because laser only works on hair that is at the ‘growth phase’ of the cycle. Due to the fact that your hair is in different phases at different times, a course of treatments ensures that the laser catches each of the hairs during the growth phase at some point. The number of treatments required depends on the area being treated; the hair density; and your skin type. Certain skin types are more suitable for this process so it is worthwhile speaking to a specialist in greater detail. Results vary from person to person, with some requiring a maintenance treatment once or twice a year and others finding that the hair doesn’t grow back at all. When you are undergoing the course, your therapist will determine the gap between sessions depending on your rate of regrowth. Clients tend to notice a significant difference after two or three sessions. With experienced therapists and locations in Johannesburg, Durban and Cape Town, Deluxe also offers free consultations and patch tests. At this time, you can ask our specialists any questions you have about Laser Hair Removal. The best benefit about it is that it’s painless! Now that we’ve got your summer alternative – you’re ready to go and enjoy it! If you are interested in exploring this further, book a free consultation HERE! For more information on this treatment, contact Deluxe Laser & Spa or you can directly book a free consultation for advice on all sorts of treatments on our website, or choose a branch closest to you. 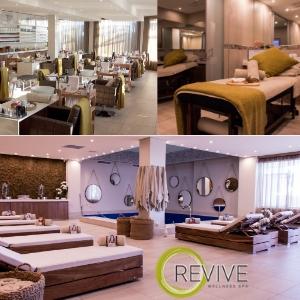 Other treatments available at Deluxe include painless laser hair removal, body contouring and a full service spa.